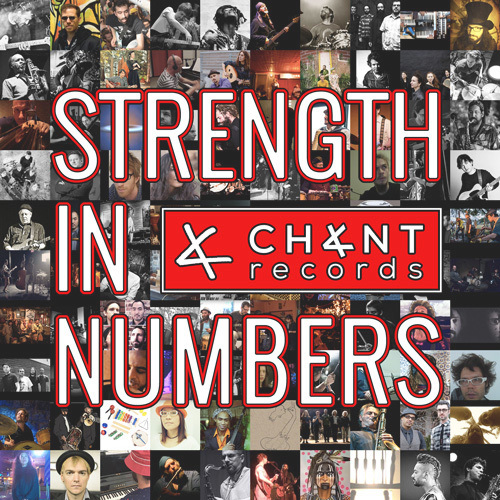 We would like to send a big thank you to all of the artists that contributed to the first official Chant Records release – STRENGTH IN NUMBERS – it means so much that you are involved. There’s a reason Griot Baye Kouyaté was named finalist in the Independent Music Awards Global Fusion Category. A Griot or Jali is a West African Poet, praise singer, and wandering musician, considered a repository of oral tradition. The Griot in Mande society was as a historian, advisor, arbitrator, praise singer, and storyteller. Essentially, these musicians were walking history books, perserving their ancient stories and traditions through song. Their inherited tradition was passed down through generations. Their name, “Djeli”, means “Blood” in the Manika language. They were said to have deep connections to spiritual, social, or political powers as music is associated as such. Speech is also said to have power as it can recreate history and relationships. The Mali Empire, at its height in the middle of the fourteenth century was founded by Sundiata Keita, whose exploits remain celebrated in Mali even today. In the Epic of Sundiata, King Naré Maghann Konaté offered his son Sundiata a griot, Balla Fasséké, to advise him in his reign. Balla Fasséké is thus considered the first griot and the founder of the Kouyaté line of griots that exists to this day. Baye Kouyaté is a direct descendant of that lineage. He is one of those old souls: wise and blessed with a culturally diverse perspective, bubbling over with natural enthusiasm and creative energies that strongly suggest he’s been this way before; someone deeply in touch with the spiritual essences. His performances are a journey through a world of highly complex polyrhythms fusing traditional sounds of Mali with influences such as jazz, reggae, carribbean and latin grooves, all delivered by a high spirited crew of musicians. Recorded in a small room in Goa. Traditional song from the town of Strážnice, Czech Republic, collected by Vladimír Úlehla (1888-1947) in his book Živá Píseň (Living Song, 1949). Whether man or king, everyone must pass away, everyone must lay his bones in the black earth. Ah, god, good god, the world is crazy, everyone always has a master to obey. Recorded in the ruin of the St. Leonard’s Church in St. Gallen. The church was burned out about one year before the recordings. Unlike traditional piano or string quintets, Quintet is a work for mixed ensemble of Japanese and Western instruments. It was inspired by the poetry of Chika Sagawa. Unlike most female Japanese poets of her time, she wove Western influences into her work, used free verse to explore her interiority rather than relying on traditional forms, and expressed an individual relationship with nature. On a personal level, I relate to her condition: fragile physically, standing up alone, trying to make sense of the universe. And aesthetically we converge: deep pain and radiant beauty resonate throughout her work, often triggered in the same moment. Chika Sagawa died before her twenty-fifth birthday. I dedicate my piece to her. Hamid Drake and Bindu – Ma Kali Take Us Home……. Performed by Helen Yee- violin; Julia Simoniello- electric guitar; Angelica Sanchez- piano; Noah Berman- electric guitar; Steve LaSpina- bass; Kevin Norton- drums, vibraphone & percussion. “Deep Tanks” is one of 12 songs from the song-cycle, Staten Island: All that is solid melts into air – the premier performance of the song-cycle (slightly different instrumentation and personnel) from Roulette (NYC) is available on Bandcamp. Recorded live with a stereo mic by Kyle Sanna, Live at The Fridman Gallery in New York City on November 22, 2013. Written and recorded by Matt in Laszlo’s Basement on May 28th, 2011. Freshly remixed for 2017. R We Robots (Flora “Liron Meshulam”, Yehu Yaron, Adi Har-zvi, Ofer Koren, Shahar Haziza, Asaf Reiss, Zach Drory, Yael Sahpira, Keren Tenenbaum) – 秋の歌 . Autumn Song. SNAKE UNION is a Brooklyn based experimental electronic group consisting of Chuck Bettis (Die Trommel Fatale, Mossenek) and David Grant (Action Patrol, On A Clear Day). A duo that works in improvisational rhythmic explorations that match analog synths and digital sound processing, modular wires and max patches. By turns psychedelic, delicate, and fuzzed out, the sequenced collides with the freeform as these two soundmakers push into new realms. SOFT CIRCLE aka Hisham Akira Bharoocha was formerly in bands such as Black Dice (DFA / FatCat) and Pixeltan (DFA). He has also been a touring member of Boredoms for the last 8 years. His solo project is called Soft Circle. This track is dedicated to Bruce Grant, aka Huge Voodoo. 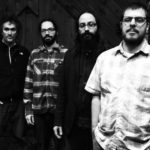 With CHANT, prolific rock/jazz guitarist Todd Clouser reaches back to the days of American Prison song and Field Chant for inspiration. Part Clouser’s signature wild guitar work, part street choir, and part beat story teller, CHANT is a concept record celebrating music’s ability to create new community, featuring the duo drum work of Billy Martin and JT Bates. In recording CHANT, Clouser reached out to friends and strangers in his homes of Minneapolis and Mexico City, from his neighborhood garbage man to members of Mexico City’s thriving creative music scene, in creating groups of singers. Recorded in studios in Minneapolis, New York City, the Peruvian Amazon amongst a family of shaman, and the streets of Mexico City, singers were directed in real time to chant over the tracks created by Clouser, drummers Billy Martin and JT Bates. The result is a new community recording of 80 musicians and singers spanning up and down the Americas. Recorded live in concert at Zappa Club Tel Aviv by Evgeny Krolik & Shai Levi on October 18th, 2012. Mixed by Jonathan Jacobi at Zaza Studios Tel Aviv on 1-1-2/11/2012. Mastered by Jonathan Jacobi at Firehouse studios Tel Aviv on 3/11/2012.